February in Chicago is enough to make anyone feel like he or she is going insane. 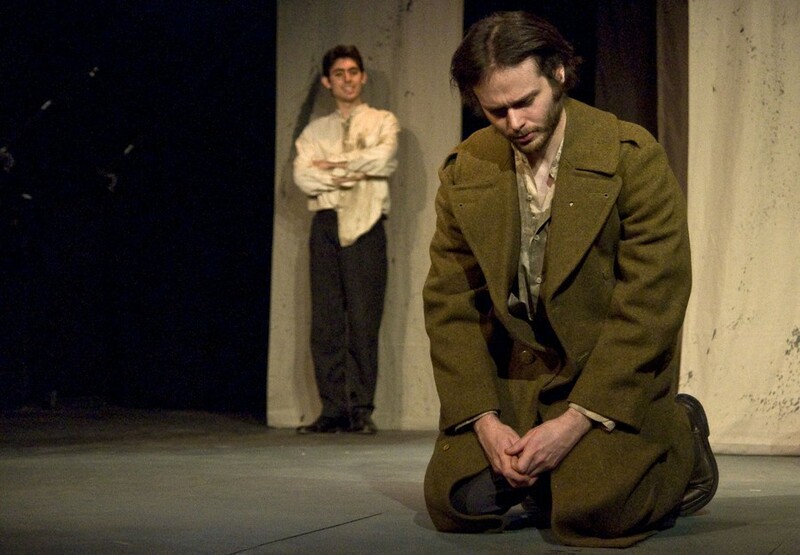 But even those who manage to keep their demeanor sunny amidst midterms and snowpocalypses identify with UT’s sixth-week production Crime and Punishment and its anti-hero, the brooding and murderous Raskolnikov. This new award–winning adaptation of Crime and Punishment by Marilyn Campbell and Curt Columbus tells the story of Dostoyevsky’s famous novel through scenes set completely in the killer’s head. Porfiry Petrovitch, the cunning detective, and Sonia, the young prostitute whom Raskolnikov loves, urge him to reflect on the feelings that drive him to commit murder. Acting in a play that is set entirely within the main character’s head was a new experience for the actors. Second-year Hayley Doner, who played Sonia, said the key to making such an introspective play realistic and accessible was to keep all the character’s intentions and needs in perspective. “Sure, it’s all in Raskolnikov’s mind, but you need to know that all the characters are real and have their own objectives and desires in the present moment,” she said. The most challenging part of putting on the production was internalizing and capturing characters that have such an inconceivable scope of human emotion, Doner said. The many characters that the three-person cast tackled included a murderer, a prostitute, and a drunkard. First-year Alessio Franko played Porfiry Petrovitch, the investigator who suspects Raskolnikov’s guilt. It required some extra imagination to play such a sly character. Another challenge the actors faced was playing multiple characters: Doner played Sonia; Alyona, the old woman whom Raskolnikov murders; and Lizaveta, Alyona’s sister. Franko played both Porfiry and Marmeladov, Sonia’s drunken father. It required the actors to make bolder choices. Franko, for example, used two different speaking voices for his characters. Seidel, who is currently writing a master’s thesis on Dostoyevsky, said the adaptation is quite different from the novel. It focuses more on Raskolnikov than Dostoyevsky’s literary masterpiece, cutting out secondary characters like Razumikhin, a character in the novel who acts as a foil to Raskolnikov. “It’s the same story, but it’s not about the same thing,” said Franko. The small cast made for a close-knit, collaborative rehearsal process. The actors agreed that director and second-year Jesse Roth made the process dynamic and involved. “Part of having a three-person cast is that after rehearsal we can all sit down and really talk about how it went,” Franko said. The dynamic and unique rehearsal process paid off, and tickets sold quickly for the performances.